Reviews Hotel Venice Italy, site with Tips and the Best Deals! 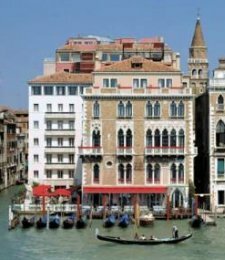 Reviews Hotel Venice Italy : How was your experience? The best reviews about your hotel Venice Italy… I'm very curious. My site is about experience! Therefore, this page is for you. Tell your own story, experience or share your own opinion... Your contribution will appear below on this page! Other visitors are thrilled to hear the story of real people who have been there. This is your chance. And I...? Already two years ago, I spend the night at the luxury Bauer II Palazzo Hotel. This was really great with lots of comfort. And the view on the terrace was something to remember. Ah, memories that I like to share with you. But, now I turn it around. How was your experience? Did you had the privilege to stay in a luxury hotel in Venice Italy? So, which hotel will receive the best review? This is not always a luxury sleeping place in a Venice 5-star hotel. But I’m curious, did you sleep in this kind of hotel? Like the Gritti Palace or any of the other good quality hotel Venice Italy? I like to hear it. And I'm sure that other visitors to my site will be very grateful. Maybe you're on honeymoon? And maybe you've had horrible nights at the hotel. Or do the Italian people ask way too much for a hotel stay in Venice? The hotels are in fact very expensive in Venice. One of the most expensive cities in Europe is Venice. Enough reasons to fill this page with reviews on Hotels in Venice. You can also leave your story on my Venice Italy Facebook page. 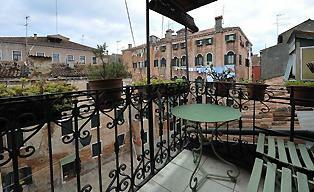 The more reviews about the hotels in Venice, the better for the visitors on my site. So if you have something to say about a Venice Italy Hotel, leave your message here! Get my recommendations on where to stay during your trip with my guide to the best hotels in Venice. Real guest reviews. Read hotel reviews and choose the best hotel deal for your stay. Have A Great Story About a Venice Hotel? Do you have a great story about this? Share it! Write about it here! Display your own story about your Venice Italy Hotel. Writing skills? Your comment will appear on a new webpage. Make it as long as you want with photo's and your story. You've read that you can place reviews about hotels in Venice. And you can share them with other visitors to my site. Ideal to contribute to the site! Tell you friends and family that you've contributed. They can respond to your contribution, or even appreciate it with 5 stars! You have read about the Hotels in Venice Italy. There is plenty to offer, as you see. Please click on the links to explore my site more and get even more information. 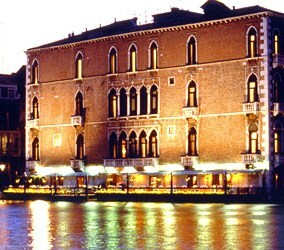 Return from 'Hotel Venice Italy' to 'Venice Italy Hotels' to find more hotels where you can write a review about. Have fun!